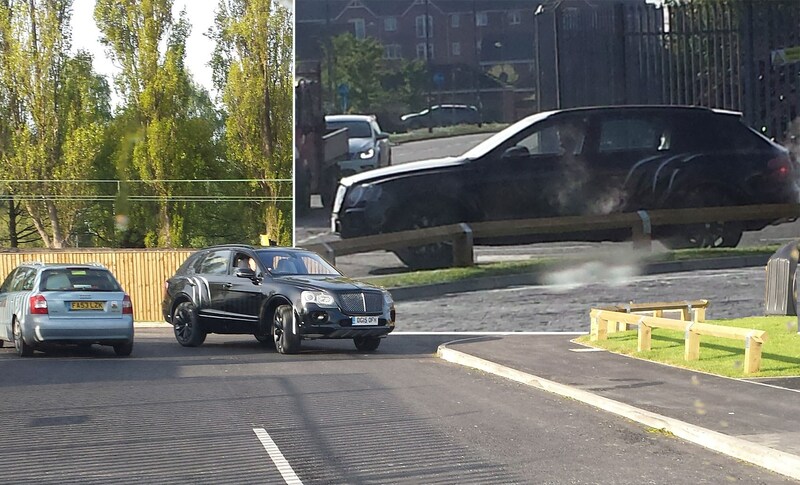 Home Spy Shots Your Spyshots Bentley Bentley Bentayga on a burger run: 4x4 spied at McDonalds! Bentley Bentayga on a burger run: 4x4 spied at McDonalds! Talk about fast food: CAR reader Ben Stokoe was surprised when he popped into a McDonald’s restaurant in Crewe only to find the still-secret new Bentley Bentayga lurking on the premises. The luxury car maker is based in Crewe, Cheshire, and it seems engineers were popping into Maccy D’s for a quick refuel of the human variety. Presumably a super-sized one. CAR magazine first reported how the Bentley 4x4 was threatening to become the first SUV to crack 200mph in 2014. And in the past few days, we’ve heard a few clues as to how this will be achieved: Dr. Heinz-Jakob Neusser, Volkswagen group head of powertrain development, told this month’s International Vienna Motor Symposium details of the company’s new 6.0-litre W12 TSI engine. It’s the latest iteration of the unusually configured 12-cylinder arranged in a W formation - the engine that’s powered a generation of Bentley Continentals. Now it’s been overhauled for use in the Bentayga and will deliver exactly 600bhp, Neusser confirmed. This is the engine fitted to this prototype, as confirmed by its 5998cc registered capacity. Bentayga - do you want to super-size that? It’ll need every one of those ponies - the Bentayga is a vast SUV, reports Ben who popped into McDonald’s for a coffee. ‘The Bentley driver was driving around the car park, seemingly waiting for a colleague,’ he tells us. ‘It was huge, and I drive a VW Caravelle… it seemed even larger than that! We’ll know for sure this summer, when Bentley shows the Bentayga ahead of its Frankfurt motor show reveal. Click here to find out what Bentayga is named after.